If you previously deleted or never entered a credit card, you're going to want to add one to ensure that your subscription always remains active. 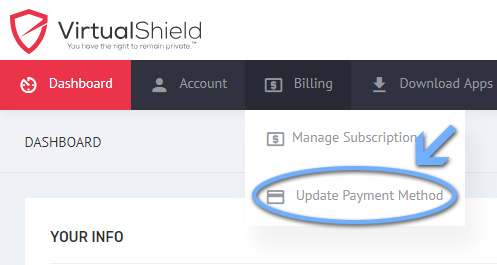 Hover your mouse cursor over the Billing tab in the menu, then select Update Payment Method. Enter your credit card details, then click Update. That's it! Your credit card is now on file.